Ken Surdan serves as the Chief Product Officer for Diligent Corporation. He is responsible for all aspects of product development including strategy, product management, user experience, software engineering and technical operations. He works closely with the go-to-market teams to build outstanding products for our customers and markets. 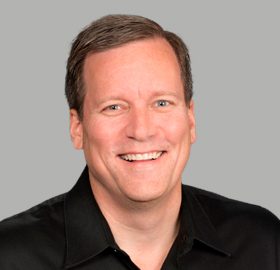 Ken has over 20 years of C-level technology and product leadership experience, in private and public companies. Most recently he was the Chief Product officer of Endurance, and before being acquired by Endurance, he filled the same responsibilities at SaaS leader Constant Contact. He has extensive experience in building outstanding product teams that build market leading products in multiple high growth markets. Ken received his BS degree from Boston University and an MBA from Babson College. He is based in the Diligent New York City headquarters.